If you are just beginning to play the drums, or even have the thought of playing the drums running through your head, there are a few things you should know before making your initial push as a Rock star. While you can learn the basic beats, or even the complicated beats, on your own just by messing around on a drum set, rudiments will bring your drumming game to a whole new level. This is one mistake I wish I hadn’t made as a drummer. After for playing for several years and thinking I was pretty good at what I did, I began to really focus on my rudiments. My fills and beats suddenly began to become so much more complex and appealing to the ear. 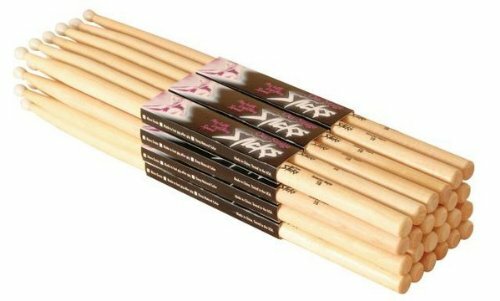 If you are just entering the drum world, the biggest piece of information I can pass along to you is to carry a pair of rudiment sticks around with you wherever you go and practice your rudiments in your spare time. You may deem these practices useless at first, but once you begin to grasp a better feel for the set and learn to integrate these patterns into your beats, you will be happy you began practicing when you did. 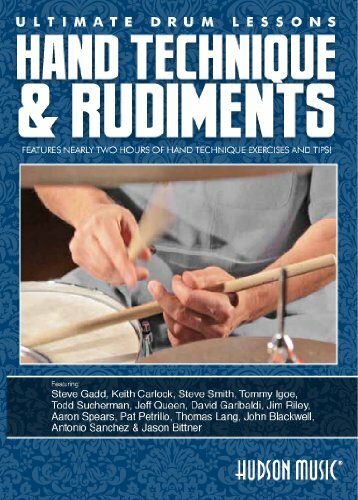 My recommendation on the quickest way to learn rudiments. This is a pretty important aspect when it comes to drumming as well. I personally have several different sticks in various sizes that I use for various different reasons. The first pair of sticks you should own are your rudiment sticks. Your rudiment sticks should be the pair of sticks that you use only to practice your timing and hand speed. These sticks shouldn’t even touch a drum set. I have had my pair of rudiment sticks for years now and while they have faded considerably, they still remain free of marks and cracks. You should use a heavier stick when it comes to doing your rudiments as this will help you increase you hand speed significantly when you are dealing with a smaller stick on the drum set. Since I drum with a 5B stick normally on a drum set, I use 2B sticks for my rudiments. The 2B will feel bulky and heavy in your hands at first, but that is the whole point. Since you will probably be playing with something smaller on the set anyway, you want to get used to moving that heavy stick around quickly. After practicing for a bit with the larger 2B sticks and switching to my 5B sticks, I can definitely feel a different and increased speed when working on my drum kit. ESSENTIAL! You won’t always be able to practice your rudiments on a real drum set. That is often the down side of playing this type of instrument. It’s just not mobile. This is where a practice pad comes in handy. You can basically carry one of these things around with you anywhere you go. It does make noise however it is much quieter than an actual drum. If you are trying to practice late at night when people are sleeping or just practice during a time when access to a drum set isn’t available, this is your ticket. 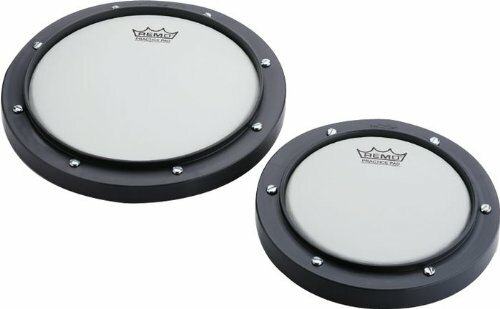 While it is an option to practice your rudiments on a chair or your legs, you will soon find out that practicing these rudiments on a surface that provides the same stick return as an actual drum will feel much different than hitting any other material. You do not need to purchase an expensive practice pad either. Most of them will work just fine for whatever it is you are doing. Check out my personally used, affordable, and recommended practice pad. This is especially true if you have any aspirations as a rock drummer. When I first began playing the drums, I would literally just go nuts on the kit. I would play as hard and as fast as I could just because it made me feel like a true rocker. This habit of going “balls out” started becoming quite expensive however. I would crack a pair of sticks almost every jam session I would have. While I don’t do this much anymore, I wouldn’t have wanted it any other way in the beginning. There is just something about breaking sticks that makes you feel like an ultimate badass when jamming out. Plus, being down to your last pair of sticks makes you hold back on the set while not allowing you to play at full potential. This is not a true drummer style. Buying sticks in quantity will save you money in the long run as purchasing in bulk will save almost 50% of the cost. Check out this best bulk stick deal. While there is quite a bit more to the drumming hobby that is not covered here, these are just a few of the recommendations I give to you as an up and coming drum god. Just have fun with it. Jam with your friends, play your favorite songs, rock hard, and don’t ever switch to guitar. That’s just a sellout thing to do. Drummers are the bad asses of the world.